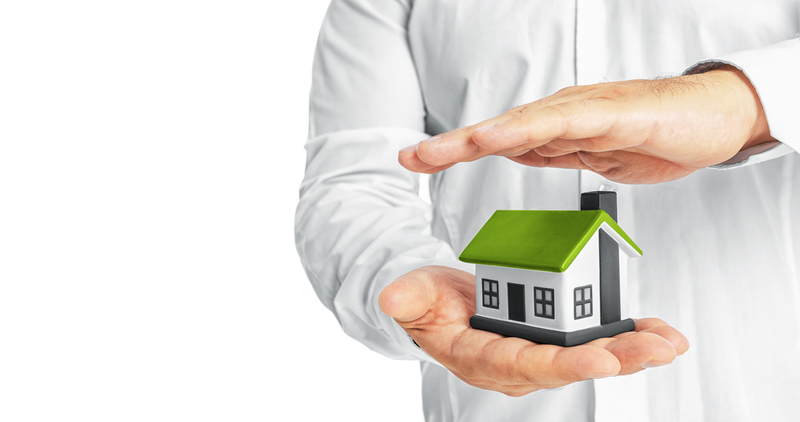 If you are looking for the best HOA and COA Insurance in Wilmington, NC and the surrounding North and South Carolina Coasts, you’ve come to the right place. Whether your Homeowners Association (HOA) is part of a new master-planned coastal North Carolina or South Carolina development, or your association is established in another existing home community that has been around for decades, there’s a lot involved with keeping things running smoothly. Road maintenance, swimming pools, community centers, parks and playgrounds have a wide range of exposures. Your organization needs coverage to ensure that should accidents happen, your HOA’s physical and liquid property assets as well as the individual members of your association are protected from any resulting damages. An HOA shoulders not only the wellbeing of a community but also many of its inherent risks. With few regulations and no general insurance programs able to fit all HOAs, it is important to understand the details of your association’s coverage and design it to meet your individual needs. Foresight, HOA expertise, and guidance on your policy from Wells Insurance can help fill the cracks in your insurance so that you are not making costly payments when the unexpected happens. How much coverage does general insurance actually supply? Is there coverage out there for my association’s automobiles? What about our employees and directors? Property, money flow, workers, executives—a robust HOA requires much of the same insurance as a regular business. Everything from vehicle operation to officer conduct can be a source of liability. Holes in coverage should be searched out and plugged quickly, and your Wells Insurance expert can help! Designed to provide coverage for damages or loss caused by sudden mechanical breakdown (e.g. a water heater leaking and causing water damage.) Typically used to expand property insurance, it can be purchased for either groups of machines or specific units. Even if the association doesn’t think it has any true employees, workers’ comp should still be reviewed; any worker may try to claim an HOA as an employer. Protects the community from several kinds of theft, fraud and embezzlement carried out by HOA employees or officers. In the event of a foreclosure, this coverage helps protect HOAs from evicted parties claiming they are being discriminated against because of class. Covers an HOA if it is sued for misappropriated funds or officer negligence. Even the best HOA policy can’t protect against everything. Community members should know what the HOA protects so they can make sure their own property is properly insured against all types of loss. The variety and depth of HOA coverage is huge and difficult to navigate. An agent who understands your community is crucial to getting excellent coverage. At Wells Insurance, our experts have access to Home Owner’s Association and Condo Owner’s Association coverage products that are hard to find, and highly in demand, such as wind-driven rain. Call Wells Insurance and discuss any changes to your community or concerns you may have about your HOA’s coverage. Working together, we can discover the exact insurance your association needs to protect the assets of your living community and provide what we feel is the best HOA and COA Insurance in Wilmington, NC and the surrounding North and South Carolina Coasts. Give us a call at 800.849.1921 or contact us through our quick form in the link below. We’re passionate about providing you with the highest level of coverage for your HOA or COA! ...I was at the Fisherman's Post Fish School last Sunday and noticed the Wells Marine Insurance booth. I have never met my agent in person and only talked to her on the phone about a year ago. I introduced myself and she immediately knew who I was, knew my wife's name and the type boat I had insured with her at Wells. I was a little shocked at all that and it took me a minute to recover. In a world with lots of choices, I know I made the right one. I gladly mailed my check this AM for this year's insurance premium. ...You will not find any better in the industry than these folks bar none. I met my agents YEARS ago when I was running charter boats for other people. We would pick up a new boat....I would have to bid out the insurance for the owner and these guys won every single time. I have been around the NC marine industry for more and than a day or two and I am telling you....they are as good as it gets. I have seen how these guys handle things and they are a class act! They will fight for you! You will not go wrong by dealing with them! ...I wanted to send a very special thank you to Anne Kinley & India Causey for their excellent service. They are always so helpful & take the time to fully explain everything to me. I am extremely happy with the service I am receiving from Wells Insurance. ...Great Customer Service and Awesome Quote that I received from Wells Marine Insurance! ...I cannot thank Cathy enough for the time she spent with my daughter, finding the best health plan for her and navigating the new healthcare program and the eligibility for any subsidies. We could not believe Cathy spent as much time as she did and there was no charge. She greatly appreciated that Cathy took the time to explain the insurance process so she could understand it. Again, thanks. I’m sure Wells Insurance would like to have a house full of Cathy’s. ...I moved to Wilmington several years ago and kept my insurance with my agent in Raleigh because I didn't want to deal with the process. One day I was downtown and saw the Wells Insurance Building and made a mental note. Several months passed and my renewal came in the mail. I decided to give Wells Insurance a call. I met with one of their representatives and prior to my meeting she told me what to bring. Our meeting lasted 1 hour and during that meeting she pointed out several gaps in our coverage, corrected them, bound my coverage and saved my family money in the process. In the process she knew exactly what to ask and how to apply to my living situation. The experience was great. If I have more to insure I will ask them to help. ...I can't say anything but good things about Wells Marine Insurance. I finally met my agent at the Raleigh boat show this past weekend and she knew exactly who I was. Talking about service - I was supposed to go offshore on a Saturday and around 4:30 on that Friday I received a letter in the mail from (my old insurance company) saying my policy had been dropped for non-renewal, which I had set-up to auto renew and auto draft, and was no longer effective. I called Wells, and they had me bound with a better, cheaper policy before 5pm. Wells has always had all my other policies and now they have my boat! Great company to work with. ...Wells Insurance was highly recommended to me by a coworker for boat insurance, I cannot say enough great things about Wells' knowledge that many other companies just plain lacked, she also beat their prices for more coverage! After a great experience working with our boat insurance, we decided to check into our auto insurance, our agent was also wonderful to work with and was able to cut our auto insurance almost in half for the same coverage! ...Glenda - We think the world of you. You have been a tremendous help to us all. You are the example for great customer service. We would be remiss if we did not recognize you. You have a "special touch" with us and our account! Please know how grateful we are that we have the opportunity to work with you. Thank you! ...I just want to take this opportunity to thank Glenda for all her help. Her responsiveness and professionalism are so refreshing! ...My experience with Wells Insurance has been top-notch! We worked with Jorge Peña to switch over all of our policies, and he made the process so easy while saving us quite a bit of money! He is always available to answer any questions that come up and has made everything easy to understand. We were initially hesitant to switch from an insurance company we had been with for years, but the exceptional customer service we received along with the huge savings made it an easy decision. Thank you, Jorge and Wells Insurance! ...Thanks, Kelly for your always prompt response! ...I appreciate how Kimberly Loftin has taken care of me and my husband since losing our vehicle in a fire that also burned our home. We have been going through a very difficult time and Kim has been so kind and caring. Wells Insurance has been our agent for both vehicle and home owners insurance for 45+ years. We have always received great service, but Kim has gone the extra mile. ...Thanks Chrissy for the kind words as the feeling is mutual. Customer service people like yourself are so hard to find. ...Jessica, Wells must be very proud to have you as their employee, an ambassador of how great insurance agents should go about their professional day-to-day business! You helped make a daunting task almost enjoyable! ...I always like to give props to a local company and/or individual that does a great job and goes the extra mile. My agent sent me the plans that were available and the differences in premiums between what I had and what I was looking for as far as coverage. It was nice to have someone "explain" everything, and the differences in what you get or are getting as far as coverage. Great experience with Wells Marine - I'm changing over my insurance! ...This is called the utmost in integrity, not found in the industry very often. Glad to have you as my agent. ...I switched to Wells Insurance and my agent saved me $1,000 per year on my premium. They took extra time and effort to secure coverage for me. They do a great job.